Dal Makhani (buttery lentil) is a very popular dish of India and Pakistan. A popular North Indian dish with mixed dals. This dish is very rich in protein as it contains a variety of dals added according to our choice.The main ingredient in Dal makhani is Black lentil (urad dal) with red kidney beans (rajma), butter and cream. This tastes same as butter chicken prepared with lentils. 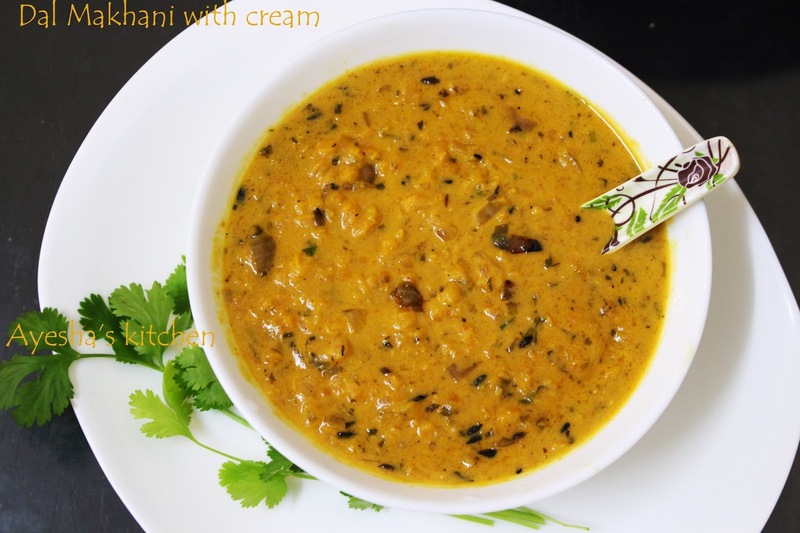 Traditional preparation of dal makhani is time-consuming. But with the availability of modern equipment's like the pressure cooker, the preparation of dal makhani becomes quite simple and less time-consuming. 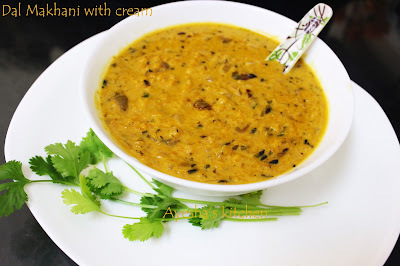 Here is the recipe for how to make delicious creamy restaurant style Dal makhani at home. Wash and mix the dals and the beans well. Soak them for 4 hours or overnight. Then pressure cooks it for 3 whistles or until soft. When done, open the lid and mash the cooked dal well when it is hot and set aside. Heat a wok with butter. When hot, splutter cumin seeds and then add onion, ginger garlic chopped green chilies. Stir fry them until done. Then add tomato puree and stir well for few minutes. Then add the cooked mashed dal along with salt, red chili powder and bring to boil. Let it cook for few minutes on a low flame. Finally, add the fresh cream, mix well and garnish with cilantro. Serve hot with rice, chappathi..